Crown Oil has been supplying fuels and lubricants to homes and businesses across the UK for over 65 years, helping us to become one of the leading red diesel suppliers in the UK. If you require a delivery to any commercial or domestic premises, we’re always happy to assist you with any quantity, from 205-litre barrels, and 500 litres through to well over 36,500 litre tanker deliveries, or more if required. To learn more, give one of our team a call on %/tel% or alternatively, fill out our quote form on this page, to receive a competitive red diesel quote. Our gas oil deliveries are nationwide which means a delivery to Widnes or one of it’s local areas is straight forward for Crown Oil. We have baby tankers, medium-sized and full-sized oil tankers to help fulfil any type of delivery, whether it is an easy access construction site, hard to access farm or a domestic property in the middle of nowhere. Red diesel is the low fuel duty verison of road diesel (white diesel) made available to certain categories of users. In general terms, it’s main uses are for tractors, farming machinery and generators which can ensure huge savings. For any other uses, you can contact HMRC to ensure you’re complying with the legal uses of this fuel. The team at Crown Oil can also provide assistance for anybody purchasing red diesel, to ensure it’s continued legal use, and avoid any unnecessary fines! If you’re buying gas oil in Widnes you will find Crown Oil’s red diesel prices very competitive, but here at Crown we also give you extra! As well as surefire deliveries and prices to make you smile, we also offer customer service which is second to none. With a free fuel management service and priority contracts available, we can ensure that you never run out of red diesel again. Call now on %/tel% to purchase gas oil in bulk, by the barrel or just get some advice! Widnes which is located in Halton, Cheshire but also forms part of the city of Liverpool. It’s mainly considered as an industrial town which mainly produces chemicals and known for it’s high output of chemical production. Due to the old chemical factories, the land around Widnes has required lots of ongoing remedial work over the last 60 years which has created a need for red diesel (also known as gas oil) and commercial gas oil deliveries to this area are regular. As you can see in the image, Widnes is home to the other side of the Runcorn Silver Jubilee Bridge which was opened in 1961 (known as the Runcorn/Widnes Bridge), but was later modified at the time of the Queen’s Silver Jubilee in 1977, hence its name. This crosses over the River Mersey at the Runcorn Gap to Runcorn from Widnes. Other notable transport features of this industrial town include the Widnes train station which connects to many cities within the north of England however, those wishing to travel to the south, including London, would go from Runcorn train station just a short drive over the bridge. Red diesel is necessary for heating oil on canal boats, which sail along Sankey Canal, and heating the factories, schools and municipal building. Other areas of usage include the horticulture of woodlands and parks. 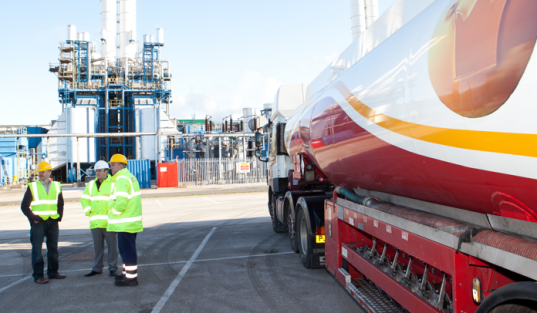 With areas of agriculture also sporadically placed, buying red diesel in Widnes is frequent which means you’re likely to see one of our oil tankers in the area. Call us now on %/tel% to buy red diesel in Widnes.